Summer can be slow to arrive in London, but once it gets here, the city bursts into bloom. So do many of its restaurants, as they throw open the doors to their gardens, orangeries and plant-filled rooftop terraces. 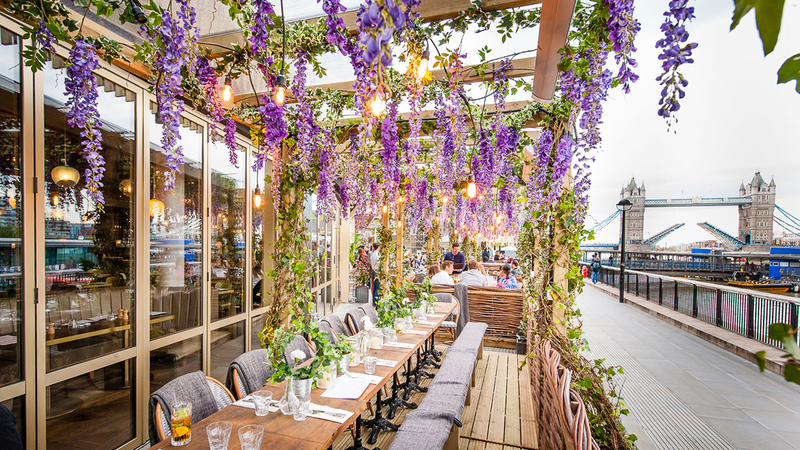 Here are seven London restaurants that offer flower-filled dining spaces. At this Richmond refuge, flowers are the dish of the day – literally. 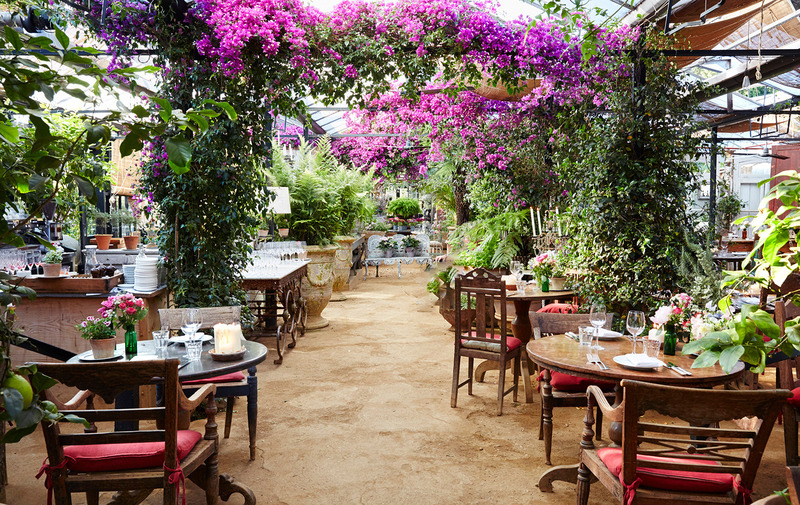 The London restaurant serves dishes garnished with edible blooms in the surrounds of a bougainvillea and jasmine-draped greenhouse. And if the settings give you greenspiration, the garden centre is on-hand for some post-lunch shopping. 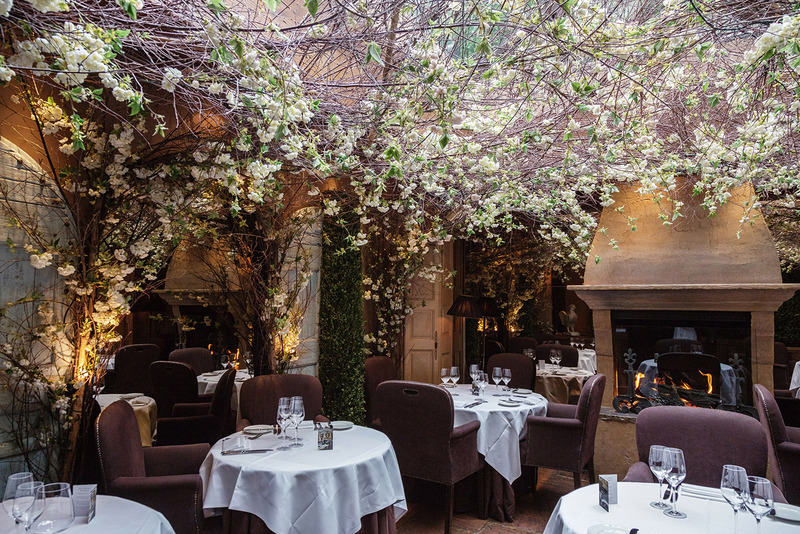 Whatever the weather, Clos Maggiore’s cherry blossom-filled conservatory in Covent Garden is a place to dine surrounded by foliage. The London restaurant’s retractable glass roof lets you bask in the summer sun, and becomes a candlelit canopy in colder months – taking inspiration from the cosy country inns of Italy and France. Plants deck the walls of Spring’s private dining room – in the form of marble ‘fossils’. Landscape designer Jinny Blom created the interiors of the Skye Gyngell restaurant in Somerset House, which channels a ‘ruined castle’ vibe. Potted palms and trees dot the space, bringing the outside into this hidden atrium. 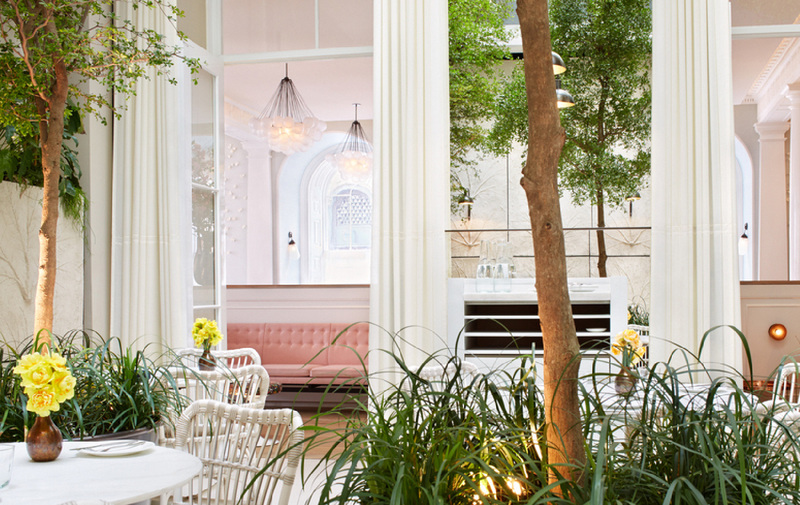 Tropical plants and ferns bedeck Blakes Hotel’s courtyard oasis, which was renovated by fashion designer Matthew Williamson last year. 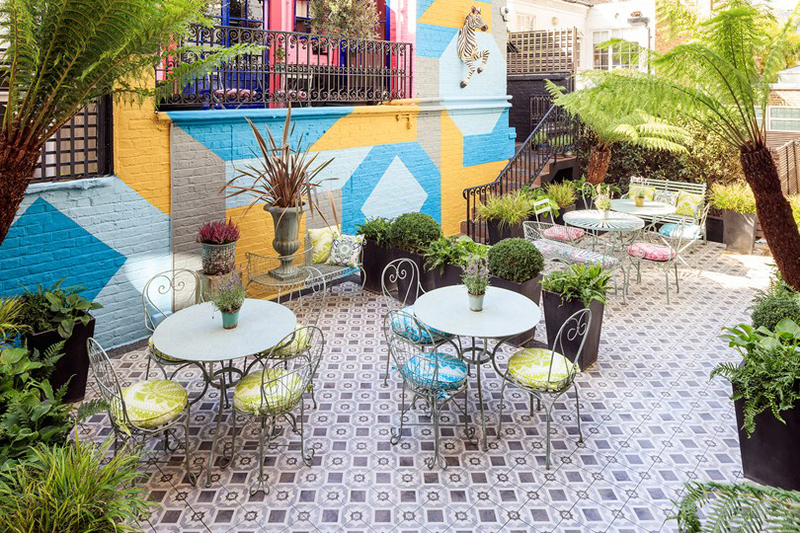 Bay trees and shrubs contrast patterned tiles and brightly coloured walls in the alfresco London restaurant, and there’s also a tumbling flower wall. A birdcage-style glasshouse serves as a safe retreat during rainy days. 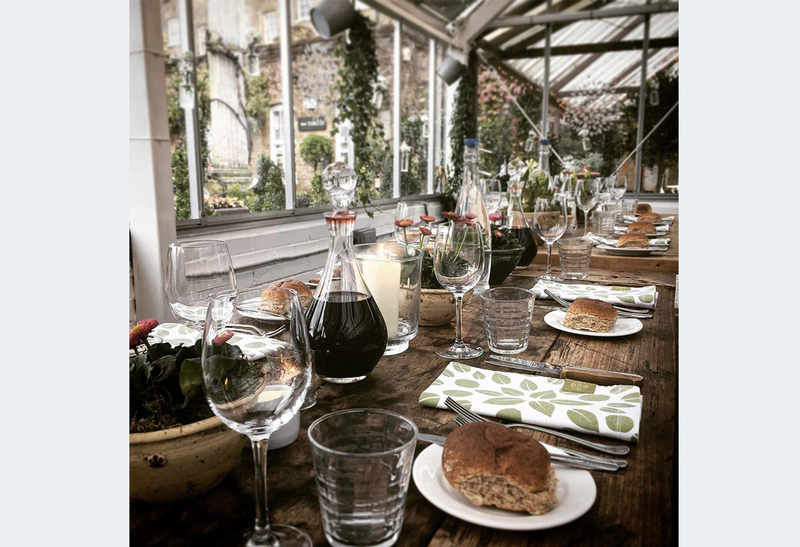 London’s oldest garden centre is home to this botanical greenhouse cafe, which offers the chance to dine amongst the flowers. Surrounded by creepers and perched on cast iron furniture, diners can enjoy a traditional English garden without leaving the city. 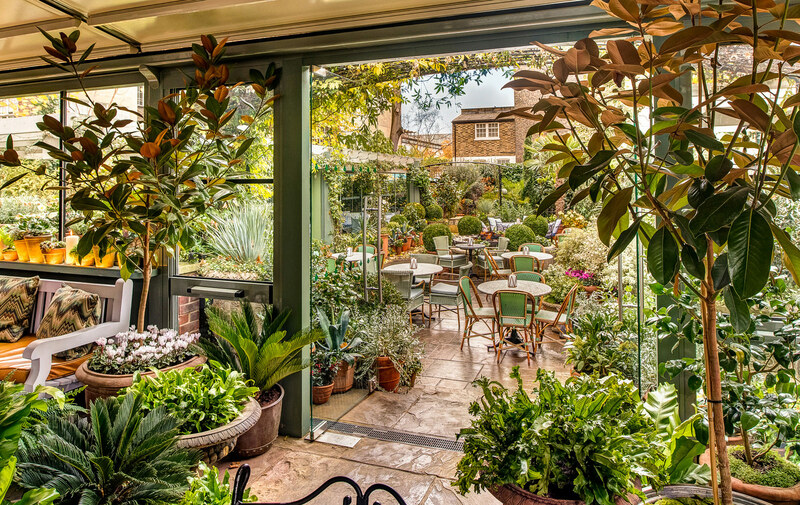 Tucked away from the bustle of nearby King’s Road, this terrace and garden offers foliage as far as the eye can see. Tall hedges screen the restaurant from the outside world, with al fresco dining is on offer throughout the year. This pop-up London restaurant near Tower Bridge is an opportunity to enjoy riverside dining in a creeper-covered wooden bower. Expect views of the city skyline and river, framed by overhanging wisteria, and a place to bask in the sun all day long on Coppa Club’s south-facing terrace.